If you are considering having your wedding outdoors, you might want to consider renting a marquee, especially in this hot weather. Marquees add a beautiful touch to any outdoor wedding; they also give you more freedom in space as they are available in a wide range of sizes to accommodate different spaces and numbers of guests. 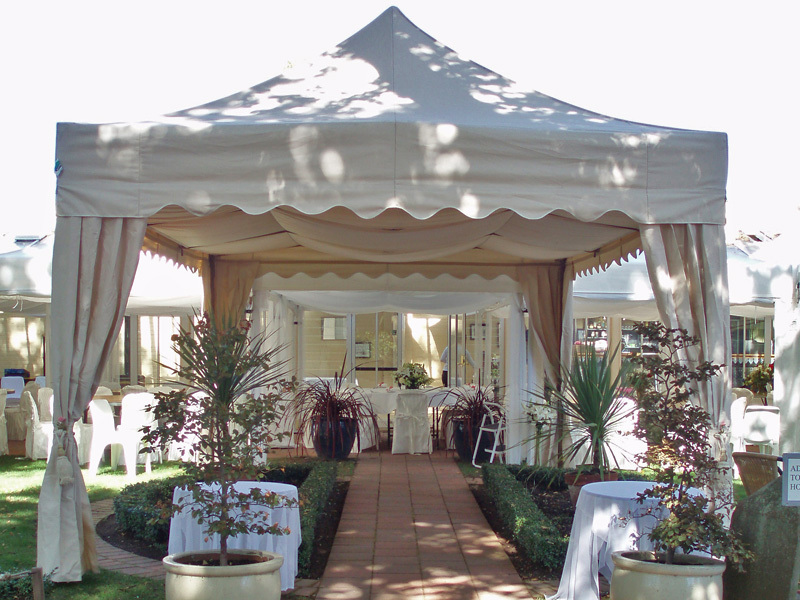 What is also great about having a marquee is that you can have any wedding theme or celebration you want. Marquees are like a blank canvas waiting to be painted! If you decide on having a marquee, then you should consider ventilation, air conditioning or even heating if your wedding is in the cooler months. Ask the professionals on your best options and choices. Consider having a generator or at least a back-up generator if the power goes down; also place it far away from the guests as the noise can kill the atmosphere. Decorating and lighting a marquee can be more expensive when you have much more space to work on and a lot of lights and equipment to install. Flooring can be expensive but very effective, as tables and dance floor will firmly stay stable and grounded and your lady guests won't have to suffer from their high heels getting stuck in the ground. Make sure that toilets are available; some suppliers will even make a smaller tent that includes toilets. If not, make sure there is one available on site. Keep in mind that marquees are not sound proof. If your wedding venue is surrounded by other residencies, make sure you ask for permission or restrict the party to a reasonable hour.